With the easy availability of high quality digital cameras make our life exciting because now you can capture any memorable moments and share that with your friends and family. Often you may have desired to apply professional looking effects and frames that are normally seen in pro pictures. But thanks to brilliant software developers across the world, even common people can apply pro tools at ease. FX Photo Studio for Mac from MacPhun LLC is such a brilliantly coded photo editing tool that fills the gap between pro software and casual softwares with an well organized but gorgeous-looking graphical user interface, a number of stylish filters and frames. You can now touch up your favorite images in seconds and share those in high quality in a few clicks to Facebook, Twitter or mail to family members. 1. An well organized GUI. With this you can easily find the exact filters, effects, frames and apply with ease. 2. Images can be viewed by zooming in and out, fit to screen and at original size. 3. You can crop, rotate or flip pictures. 4. It is possible to adjust image temperature, saturation, hue, exposure, brightness, contrast, shadows, highlights, sharpness, RGB ration in few clicks. 5. FX Photo Studio for Mac offers a Masking Studio, where you can paint it and adjust parameters like diameter, softness, opacity etc to make it perfect. 6. It offers 174 superb filters which are classified into 20 different categories like Lo-Fi, Grunge, Art, Vintage, Vignettes, Sketches, Hollywood FX, Cross Process, Glow, Black & White etc. Each effect has adjustable parameters. 7. You can search for your desired effects and make some as favorite. It also offers hiding of unneeded effects. 8. It is possible to combine different effects or apply them to parts of the images only. Such combinations can be saved as preset which can be shared and imported. 9. You can get 40 stylish frames with FX Photo Studio for Mac. 10. You can save images in portrait and landscape modes with resolution up to 32 megapixels. 11. You can save edited images in your Mac or share those with built in sharing via Flickr, Facebook, Twitter, Tumblr, e-mail etc. 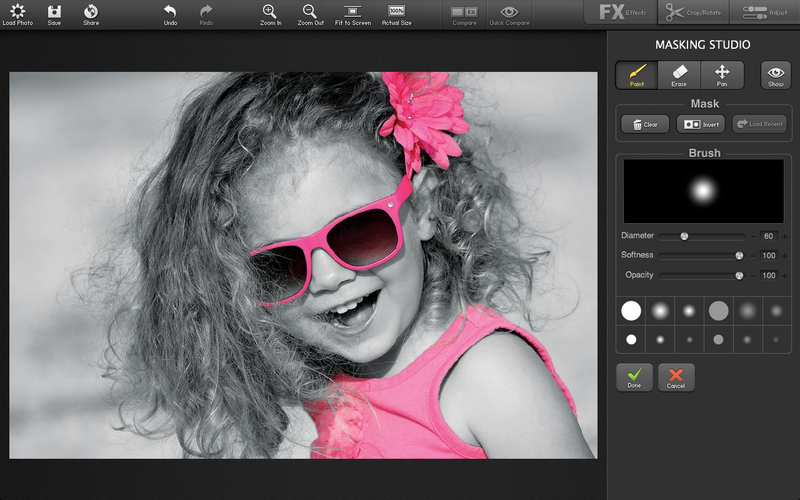 FX Photo Studio for Mac costs $9.99 right now (sale from $24.99). Thanks to Galina Divakova from MacPhun LLC, I can giveaway 5 licenses of FX Photo Studio for Mac. This giveaway will be expired in the midnight of 10th Feb, 2013. I will announce the winners at a later date. Winners will be chosen randomly from the contestants list. This entry was posted in Free Offers, Giveaway, Graphics Management and tagged MacPhun LLC. Very nice to have the continuation of the campaigns. We can use the software to edit our photos. What an excellent piece of software. 174 different filters amazing. I could do a lot with this. Count me in please. Nice app. Easy way to make a foto look better. 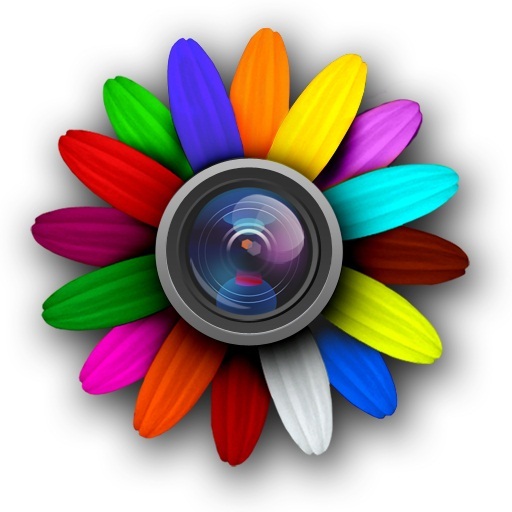 Good photo software for the Mac. It would be nice to win this useful app. Count me in.